​More than ever badgers need protecting. They are facing the most brutal and unjust persecution from criminals and government, and we are relying on your generosity to help us stop this. Make a donation today to help end badger baiting. Watching badgers and dogs fight until death is perceived as good fun for some people. In fact, some baiters have even been known to join in the fight, brutally beating the badgers with spades or stamping on them. The badgers always die in the end, but that ‘end’ is the result of a long, excruciatingly painful and frightening struggle. The dogs may also die. But if not, their wounds that usually consist of serious lacerations to the jaw and bite marks on their necks and muzzle, are treated without professional veterinary care. These sadistic acts of violence are happening all over the UK in the name of entertainment. Due to the sheer volume of the illegal persecution of badgers, it continues to be listed as one of the six UK Wildlife Crime Priorities by the National Wildlife Crime Unit. 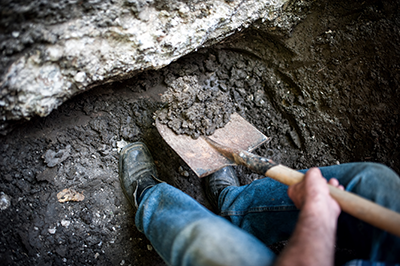 Our aim is to bring an end to badger baiting, sett digging, illegal lamping, killing and other acts of cruelty towards badgers involving the use of dogs. 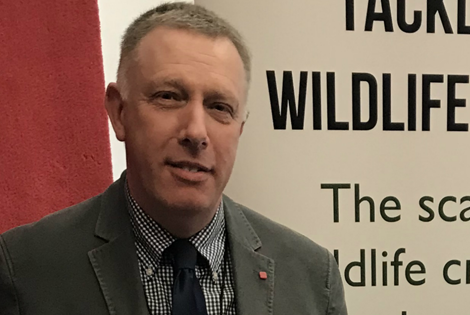 Last year we appointed our first Wildlife Crime Adviser, Andy Swinburne, to promote, support and contribute towards the fight against illegal badger persecution. He is a former Wildlife Crime Officer and has 13 years’ experience fighting badger crime within both the police and charity arenas. The Badger Persecution Priority Delivery Group leads the overall UK strategy to combat badger crime. As Secretariat of this Delivery Group, our Wildlife Crime Adviser (Andy Swinburne), is playing a vital role in the administrative running and direction of the group and its UK strategic response to illegal badger persecution through Prevention, Intelligence and Enforcement initiatives. We’re the closest we’ve ever been to illegal badger persecution becoming recordable and notifiable to the Home Office, and that’s down to you. Last year many of you lobbied your Police and Crime Commissioner (PCC) about this. Because of your letters and emails, the Home Office received a very clear message that recordable wildlife crime isn’t just something wanted by animal welfare and conservation charities, but also law enforcement agencies and the general public. We will not rest until badger crime is being consistently recorded and reported on across England and Wales. We may call on you for one final push to help make this happen, so please stay tuned! Last year we launched our own undercover investigations into badger crime, passing high-quality information packs to law enforcement agencies. They then use the information to initiate further investigations, gather intelligence, or take enforcement action, which is the ultimate outcome we’re aiming for. We’re asking members of the public to tell our Wildlife Crime Adviser about anyone they suspect are involved in badger crime. We are working with badger groups and police forces to deliver a School Awareness Programme to school children aged 13 years old and above to raise awareness of badger ecology, illegal badger persecution and legislation. The presentation contains a mix of eye-opening video footage and photographs of crime scenes while informing pupils how they can help police fight badger crime. We have launched an illustration competition, asking children aged between 13 – 16 years old to draw badgers. Seventeen lucky winners will win the chance to have their artwork published in ‘Badger Boy’ - a wildlife crime mystery novel that is aimed to educate teenagers about badger ecology, and the cruelty of badger baiting. The closing date is 15 April 2019, when our patron, Chris Packham, will judge the competition. The winners will be announced on 01 May 2019. We’re making an annual financial contribution to the Partnership for Action Against Wildlife Crime Forensic Analysis Fund, which police can access to help pay for forensic investigations into badger crime, e.g. DNA testing of badger hair.